The Milwaukee Brewers seemed to be locked into that third spot in the NL Central for the longest time. Between 2009 and 2014, they were in third place four of those six seasons. Now since 2013, fourth place has seemed to be their permanent home as they have finished second-to-last in all but the 2014 season. But while Milwaukee has been remarkably mediocre for a long time, they have built up an impressive farm system and have some potential franchise pieces already at the big league level to help them out. 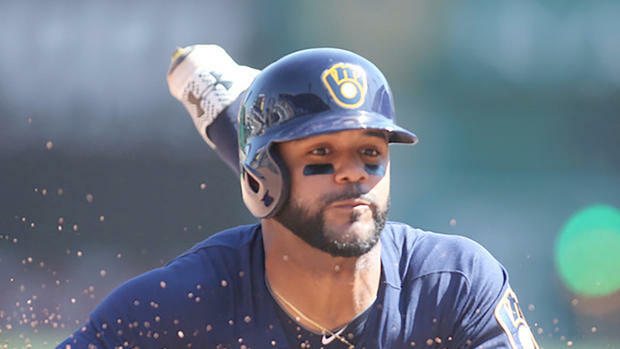 Guys like Orlando Arcia, Domingo Santana and Jonathan Villar look like potential franchise building blocks while top prospects like Lewis Brinson, Corey Ray and Josh Hader could soon be joining them at the big league level. Expect Milwaukee to start to dig themselves out of this hole as early as the start of next season. Today I am beginning my list of prospect systems in the NL Central. I have already covered the Chicago Cubs and Cincinnati Reds. Later, I will delve into the Pittsburgh Pirates and St. Louis Cardinals. To read more about my prospect coverage, click here. Brinson stands out as one of the most exciting prospects in all of fantasy baseball. The explosive right-handed bat has always demonstrated a power/speed combination comparable to few others in the game. He receives 60-grades for both his power and speed according to both MLB.com and Baseball America and has done more than just flash raw talent. In 100 games split between Double-A and Triple-A this season, Brinson had a 15/15 home run/stolen bases. His plate discipline still leaves a bit to be desired and he is unlikely to debut with the big league club right out of the gate, but expect him to reach the majors if Ryan Braun is dealt away or if can finally raise that walk rate a bit. Ray may not have as impressive of a power/speed combination as Brinson, but he is still an exciting prospect in his own right. Drafted from Louisville with the fifth overall pick in last year’s draft, he rose quickly through the minors and finished 2016 at Advanced Class-A with a .247/.307/.385 slash line, five home runs and nine stolen bases. Ray has some pop and plenty of speed, though strikeouts are going to be a bit of an issue for him for a little bit. He likely will need all of 2017 to develop a bit more, but he should be another All-Star outfielder for Milwaukee in the near future. Not too long ago, Phillips was considered one of the top prospects in baseball. He, like Brinson and Ray, had a tantalizing power/speed combination and had demonstrated the ability to take a walk. But that was all before he started striking out roughly 30 percent of the time. Now, scouts wonder if the hole in his swing will ever be fixed. If he can patch it up, he still has enough upside to be a leadoff hitter with 20/20 potential. But his strikeout problems could relegate him to a Quad-A or bench role in his career. Just when Bickford appeared to be getting some well-deserved attention, he was suspended for 50 games due to a positive drug test. Not PEDs though, this was for marijuana use. And while we can debate all day whether or not that suspension is justified, the point is that he will miss a large chunk of 2017 which likely pushes his potential debut back to 2018. But when Bickford has been on the mound, he has been absolutely electric. The lowest strikeout rate the right-hander has ever posted was 24.4 percent at High-A with Milwaukee following his trade from San Francisco. His walk rate has always been a tad higher than some would like to see it, but scouts still love the stuff the 21-year-old has flashed and many think he has what it takes to stay in the rotation. Those who aren’t as sold on him believe he will end up closing for the Brew Crew in a few years. But owners who want to take a chance on a potential front-of-the-rotation starter would be wise to stash Bickford away. Ray has some holes in his swing right now and often struggles to read pitches well, but he drives the ball exceptionally well to all fields and scouts think he will be a quick learner and should master the zone before too long. Brinson has had many years of development and at this point, most scouts believe he is likely not as likely to hit over .300 as Ray. The 2017 season will be very telling how far Ray might be able to go towards improving his approach to the plate. At this point though, his floor is probably a .260 hitter with the ceiling being a .310+ hitter. It was tempting to give this to Lucas Erceg who has a ton of power potential, but Brinson has year in and year out shown that he can hit for power. He combined for 20 home runs in his 100 games above Class-A, hit a career-high 21 back in 2013 and posted a solid 15 this past season. His power, many scouts believe, will eventually develop into 25-30 home runs on an annual basis. As for his speed, Brinson has certainly put that on display plenty in his professional career. Excluding time in Rookie league, the talented outfielder stole 15 bases in 100 games this season and swiped 18 in 100 games. And while those numbers don’t quite jump out at you initially, both would be on pace for roughly 25 stolen bases. Brinson probably has the most dynamic power/speed combination and will likely be a 30/30 threat most seasons. 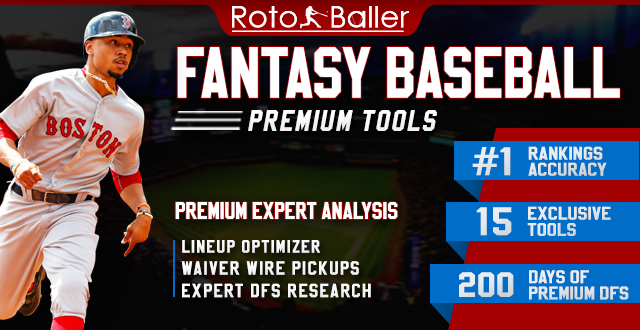 Though the average may often lag a bit behind, Brinson simply has too much upside to pass up on for dynasty owners. When opposing hitters step into the box against Hader, odds are the first thing they notice is the Jacob deGrom hair style. The second thing they probably notice is the funky delivery and release point. And the third is how difficult it is just to make contact with him. Since departing the Baltimore Orioles organization back in 2013, Hader has consistently posted 25+ percent strikeout rates against opposing batters (I don’t know what it is about Baltimore, but pitchers sure seem to flourish once they leave there *cough* Jake Arrieta). With an electric fastball/slider combination, Hader has all the makings of a strikeout machine, though he will likely need to improve his control and changeup if he wants to always be one step ahead of the hitters. If Hader stepped into the rotation right now, he’d probably be a No. 3 or 4 starter with strikeout upside. But if his changeup and command make the necessary improvements, he could be an outstanding No. 2 pitcher for them. Before pitching at the Brewers Double-A affiliate last season, Ortiz had never posted a walk rate above 5.5 percent at any level with more than 10 innings pitched. The 21-year-old right-hander has never been much of a swing-and-miss guy, but he has always been able to retire batters thanks in large part to his excellent command and ability to keep the ball in the strike zone. It has baffled scouts nonetheless that with his stuff, he hasn’t generated more whiffs, but for now fantasy owners will take a guy with a high floor and high ceiling. If he can start missing bats, he could be a potential No. 1 or 2 starter, but as he is right now, he could pitch in the big leagues and be a pretty reliable No. 3 starter. Exciting outfielder with the chance to post annual 30/30 seasons, Brinson is a must-own in all dynasty leagues. Ray has an extra year of development remaining, but he will likely be a future left fielder for Milwaukee. Hader has insane strikeout potential and could be a future No. 2 starter if he develops his changeup more. Strong power-hitting middle-infielder will need to cut down on the strikeouts to remain on course to become Orlando Arcia’s double play partner by 2018. Ortiz has the stuff to generate more punchouts, but for now owners will take the high floor from the young starter. Clark has a long way to go before reaching the big leagues, but the potential franchise outfielder has a ton of upside, especially for those in need of stolen bases and on-base percentage. Electric young starting pitcher will need to bounce back from drug suspension before he is able to get back on course. Still undetermined if his future lies in the pen or the rotation, but he will excel in whatever role he maintains. The former 11th round pick has quietly dazzled at every level and has the size, velocity and secondary pitches to become a No. 2 or 3 starter in the majors. Erceg could be a big-time sleeper in dynasty leagues as a guy with 25-30 home run potential and a future at the hot corner if he can limit the strikeouts. The Brewers will hopefully take their time with Phillips as he has so much potential, but time is ticking and he has only seen his strikeout climb as he reaches the higher levels. This system has some of the most dynamic outfielders found in Minor League Baseball. Brinson and Ray are going to be extremely fun to watch at the big league level as might Phillips and Clark if they can reach their full upside. They also possess at four guys who appear poised to make up the future rotation in Hader, Ortiz, Bickford and Woodruff. For dynasty owners, this is easily one of the most exciting to look through in baseball. There are strikeout artists and 20/20 threats abound. There are several other exciting players in the minors like catcher Jacob Nottingham, pitchers Nathan Kirby and Marcos Diplan with other high upside outfielders like Demi Orimoloye and Monte Harrison. Dynasty owners would be wise to look through here for some players to add in any drafts and for their waiver wires.